Smartwatches are the best wearables nowadays. They come with an excellent notification system, fun apps and games, fitness tracking, smart dial faces, GPS, heart rate monitors, and most importantly everything packed in a tiny wearable size gadget. 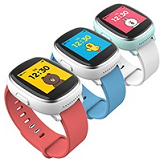 These smartwatches have SIM connectivity and come with an accurate GPS inbuilt and are some of the best productivity tools for parents. Right from telling time, kids can play interactive games, fun apps and much more. Now parents can keep eye on their kids wherever they go. In those unwanted situations, parents won't need to worry at all about their children missing and stay alerted all the time, and when their children feel their need. 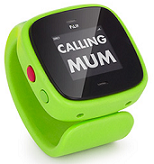 These smartwatches are specially designed to keep kids in mind and their rough usage. They come with the rugged design with soft silicone outer body to give the best comfort while kids wear them. 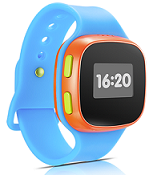 Kids smart watch phone is very popular thing nowadays. Here are some of the best smartwatches for kids with GPS and calling feature. 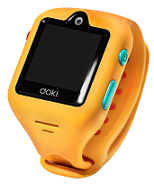 Doki watch is a great gift to children from their parents to stay safe wherever they go. Not only this, the watch also has interesting features including virtual pet, fitness tracker and much more. Orbo kids watch come with all the basic functions and have beautiful digital and analog watch faces to choose from. It also teaches kids how to tell the time. It also has a variety of interactive activities and games to keep your children busy playing more of the time. It also have a basic camera which can take great shots. LG uses their own GizmoHub App to sync the watch with proper parental authority for kids making calls and use various apps. Its real-time location GPS tracking is again excellent and worth using. Its a great smartwatch for teenager. Watch works on KIWI Plus's own IOT android operating system and support one touch calling and real-time location tracking. Watch facilitates inter-connectivity among kids so that they won't miss each other. In a case of emergency, kids can send pre-set notifications to parent's phones easily. The watch has aluminum casing and glass screen with soft silicone bands and available in blue, white and pink colors.